By Marianne Kolbasuk McGee, June 19, 2015. A former Texas hospital CFO has been sentenced to 23 months in federal prison for submitting false documents so a medical center could receive payments under the HITECH Act electronic health records financial incentive program. In addition to his prison sentence, Joe White, former CFO of the now-shuttered Shelby Regional Medical Center in East Texas, was ordered to pay restitution of nearly $4.5 million to the HITECH incentive payment program. Court documents indicate that to help pay the restitution, White has been ordered to liquidate an IRA account and an annuity, which as of November 2014, had respective balances of about $115,000 and $2,500. White, 68, of Cameron, Texas, pleaded guilty on Nov. 12, 2014, to making false statements in November 2012 to the Centers for Medicare and Medicaid Services that Shelby Regional Medical Center was a meaningful user of EHRs, when the hospital actually was primarily using paper records, according to the Department of Justice (see CFO Pleads Guilty to HITECH Act Fraud). To obtain financial incentives from Medicare or Medicaid under the HITECH Act, hospitals and physicians must submit detailed documents that attest to meeting the requirements for the program, including conducting a HIPAA security risk assessment. According to information presented in court, White was CFO for Shelby Regional as well as other hospitals owned and operated by Tariq Mahmood, M.D., of Cedar Hill, Texas. The 54-bed Shelby Regional closed last year amidst legal issues involving Mahmood, who was indicted by a federal grand jury on April 11, 2013. He was charged with conspiracy to commit healthcare fraud and seven counts of healthcare fraud. Court documents indicate that Mahmood was sentenced on April 14 to 135 months in federal prison, and also ordered to pay restitution totaling nearly $100,000 to CMS, the Texas Department of Health and Human Services and Blue Cross Blue Shield. White oversaw the implementation of EHRs for Shelby Regional and was responsible for attesting to the meaningful use of the EHRs to qualify to receive HITECH incentive payments from Medicare, according to the FBI. As a result of White’s false attestation, Shelby Regional Medical Center received nearly $786,000 from Medicare, the FBI statement says. In total, hospitals owned by Mahmood were paid more than $16 million under the Medicare and Medicaid EHR incentive program, the FBI says. Attorney David Holtzman, vice president of compliance at security consulting firm CynergisTek, says he expects federal authorities will file more HITECH criminal cases. “The sense we have gotten from public statements by OIG and others involved in prosecuting healthcare fraud violations is that there are a number of investigations ongoing to determine if there has been fraud in obtaining funds through the EHR incentive payment program,” he says. Holtzman suggests that those organizations that have received HITECH incentives must keep thorough documentation to prove they met all the requirements. While criminal cases related to the HITECH Act EHR incentive program have been rare, federal regulators have been ratcheting up their audits of healthcare entities attesting to “meaningful use” of EHRs. 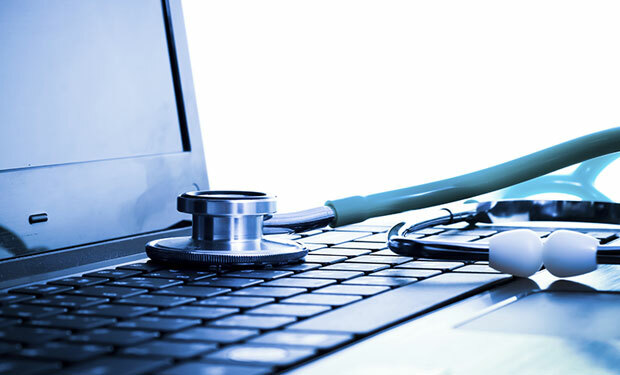 Among those selected was Temple University Health System in Philadelphia, which recently passed an audit for meaningful use compliance at one of its hospitals, says CISO Mitch Parker. The area of attestation most closely scrutinized by CMS auditors was Temple’s HIPAA security risk assessment, he says. Just as 9/11 shattered our assumptions about the impregnability of U.S. defense systems, the recent Anthem Inc., Premera Blue Cross and Community Health Systems mega-breaches show that we need a top-to-bottom re-examination of what information risk management really requires. To be fair, most healthcare boards of directors and C-suite executives have had their hands full just dealing with the Affordable Care Act and the momentous shift from the fee-for-service model to value-based care. That may be the reason why so many healthcare boards and C-suites are either ill-informed or disengaged from information risk management. In the wake of the highly publicized Community Health Systems, Anthem and now Premera hacking incidents, most organizations are scrambling to play catch-up – often trying to “checklist” their way to security. By default, and in the absence of board and C-suite direction, this approach is often too technical, too tactical and involves too much spot-welding. Most organizations don’t truly understand the scope of the problem. Although the Anthem hacking incident, which affected 78.8 million individuals, made headlines worldwide, hackers only account for about 8 percent of major health data breaches since September 2009, according to the Department of Health and Human Services. The other 92 percent are mainly due to preventable mistakes made by an organization’s own employees and business associates – losing a laptop containing unencrypted PHI, improperly disposing of paper records, “snooping” into and disclosing confidential data, etc. A health system might pat itself on the back for avoiding an Anthem-type breach, then get stung by a smaller scale breach that can still tarnish its reputation and cost millions to remedy. The value and vulnerability of patient data are increasing dramatically. The anticipated growth of the national eHealth Exchange means that the likelihood of breaches will continue to rise. The exchange is predicted to soon connect hundreds of hospitals and thousands of medical groups. Hackers will no doubt be encouraged by what the Anthem thieves got their hands on: dates of birth, physical and e-mail addresses, and Social Security numbers of nearly 80 million individuals. That’s the equivalent of the entire populations of California, New York, Illinois and Maryland. Too few organizations have a formal process for benchmarking the maturity of their IRM programs. The healthcare field is way behind other industries in this regard. The FBI said as much in its April 2014 Privacy Industry Notice and its August 2014 Alert. Many manufacturers and retailers routinely use maturity models to test the efficacy of their supply chain management and business intelligence. 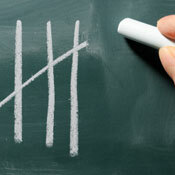 Healthcare needs to make it a priority to benchmark its IRM programs. The term “data security expert” doesn’t equate with “risk management expert.” Too many healthcare organizations rely on their IT staff to ward off hackers, forgetting that breaches also come in a variety of low-tech (or no-tech) varieties. Plus the Anthem breach begs the question: What were the “experts” really doing? Although the hackers did penetrate several layers of Anthem security, they may have gained access to the huge database by using a stolen password. And numerous media reports suggest that Anthem hadn’t bothered to encrypt the database. At the very least, we shouldn’t be making it easier for hackers to do their job. Whether the Anthem hackers were part of an international cyber-espionage team – or just brainy teenagers – doesn’t really matter. Several news organizations are reporting that the insurer will soon exhaust its $100 million cyber-insurance coverage to meet the staggering cost of identity theft repair and credit monitoring. The healthcare field has “HIPAA compliance” myopia. The Anthem breach proves once and for all that information risk management is much more than a HIPAA compliance issue. IRM has a direct impact on patient safety and quality of care. But even more than that, it’s a discipline that’s essential to the health of a company’s brand and bottom line. The Anthem breach demonstrates that there’s still a glaring need for better board and C-suite education about what constitutes comprehensive IRM. We must move from the technical/tactical/spot-welding approach to a business architectural solution that’s strategic. To do so, healthcare organizations need to use new benchmarking tools to help them assess the maturity of their IRM initiatives. If the CHS breach was a wake-up call, the massive Anthem breach was a bugle blaring across healthcare boardrooms and C-suites nationwide. Let’s hope that it rouses leaders to action. Bob Chaput, CISSP, HCISPP, CRISC, CIPP/US, is CEO of Clearwater Compliance, an information risk management advisory firm based in Nashville, Tenn., that offers an IRM benchmarking tool. By Marianne Kolbasuk McGee, January 12, 2015. A New Jersey law that will go into effect in July requires health insurers in the state to encrypt personal information that they store in their computers – a stronger requirement than what’s included in HIPAA . 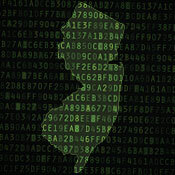 The new law, signed by N.J. governor Chris Christie last week, was triggered by a number of health data breaches in the state, including the 2013 Horizon Blue Cross Blue Shield of New Jersey breach affecting 840,000 individuals. That breach involved the theft of two unencrypted laptops. The new law states: “Health insurance carriers shall not compile or maintain computerized records that include personal information, unless that information is secured by encryption or by any other method or technology rendering the information unreadable, undecipherable, or otherwise unusable by an unauthorized person. The law applies to “end user computer systems” and computerized records transmitted across public networks. It notes that end-user computer systems include, for example, desktop computers, laptop computers, tablets or other mobile devices, or removable media. Personal information covered by the encryption mandate includes individual’s first name or first initial and last name linked with any one or more of the following data elements: Social Security number; driver’s license number or State identification card number; address; and identifiable health information. “The New Jersey law differs from HIPAA in that it mandates implementing encryption, whereas HIPAA mandates addressing encryption,” privacy attorney Adam Greene of law firm Davis Wright Tremaine says. 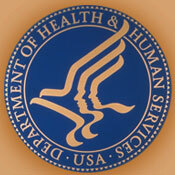 The Department of Health and Human Services offers this explanation of the HIPAA encryption requirement on its website: “The encryption implementation specification is addressable, and must therefore be implemented if, after a risk assessment, the entity has determined that the specification is a reasonable and appropriate safeguard in its risk management of the confidentiality, integrity and availability of electronic PHI. Can healthcare consumers now enforce HIPAA privacy rules? Leveraging our judicial system, the answer may be yes. A recent state Supreme Court ruling gives patients the right to sue healthcare providers for negligence if they violate a “standard of care” when managing protected health information. By Marianne Kolbasuk McGee, November 7, 2014. 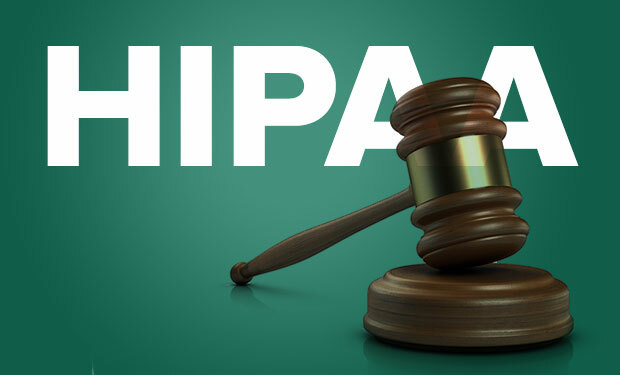 Legal experts are analyzing the potential national impact of a Connecticut Supreme Court ruling that plaintiffs can sue for negligence if a healthcare provider violates HIPAA regulations for protecting patient privacy.